Dane G. Hansen Foundation | Can You Hear Me Now? You are here: Home » NEWS » GRANT STORIES » Can You Hear Me Now? 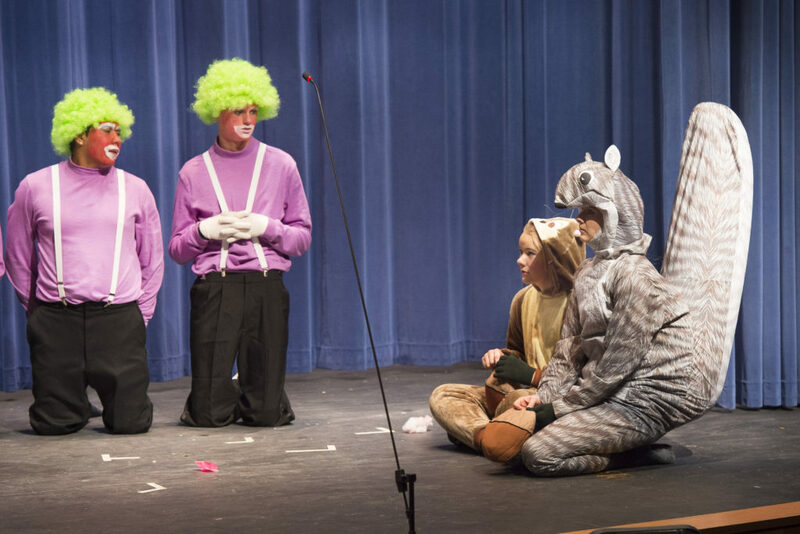 During our play performance for the elementary students, the younger classes that sit at the front were laughing with the jokes they previously could not hear. We invited the local assisted living residents to our dress rehearsal since the sound quality was much higher. They enjoyed the play and it was touching to be able to provide this experience for them. Our kids benefited from the opportunity to reach out and meet them afterward. We have now hosted the fall play, elementary Christmas program, high school band and vocal concerts, and The Western Plains Art Association hosted a concert as well using our new system. With each performance, we have heard many compliments on the quality and difference the system is making. We had dealt with an outdated system for so long we were immune to how much we were lacking in the experience. One unique component is that sound can be recorded directly onto a flash drive to later match a recording of the performance. Our video editing teacher was ecstatic about this component as she had struggled with that on the memorial DVDs that they supply for every performance.